I woke about half an hour and watched the moon from my bed. It’s growing smaller, the last quarter, and for the last fifteen minutes it’s been hanging in a tall fir to the south of my house. It’s bright. And it’s my son Brendan’s birthday. 31 years ago this morning, right about now, I insisted we go down to St. Mary’s Hospital in Sechelt because I wasn’t going to wait any longer. I wasn’t actually in labour but Brendan was almost two weeks overdue and I needed for us to get on with life. No more sitting huge and helpless by the fire with an almost-two-year old (Forrest) racing around, out of reach, and people calling daily to ask if there was a baby yet. It felt like there would never be a baby if I didn’t insist. So I did. And the doctor who was filling in for our family doctor broke my water at around 10:00 that morning and Brendan was born just in time for lunch. His. Mine. And we did get on with life. We’d recently moved into the house we were still in the middle of building, though we had a roof, a bathroom, and the windows were in, walls finished. No kitchen cupboards or tiles on the floor or even interior doors. But that all happened gradually and the baby thrived (he’s a mathematician now) and Angelica joined us two and a half years later. Birthdays remind me of the passing of time as surely as the moon does. Yesterday I had a singing lesson, my first in more than 2 years. Somehow I gave up singing and I’ve missed it. Last Sunday we were listening to a CBC feature on Tom Schilling, a Hamilton singing teacher. Tom was inspiring. John turned to me, said, “You should sing again. It made you so happy.” It did. And I think it did more than induce happiness (as if that wasn’t enough): research tells us that it strengthens the lymphatic system, which in turn strengthens the immune system, and the controlled breathing is better for you than yoga. People with dementia (not me, not yet) have access to memories and joy when they sing that might not otherwise be available to them. And how wonderful it felt to drive home along the quiet highway, in sunlight, with my favourite singer, Lorraine Hunt Lieberson, singing the duet with Drew Minter, listening to their voices entwine and echo, and to hear the little embellishments that experienced singers can add to a score, and to be able to hum along. ~ by theresakishkan on January 24, 2014. Theresa, a beautiful post, as usual. I don’t know if it was deliberate that you told us about your son’s birth and then about singing a duet between mother and son. I heard the program about Tom Schilling too, but was not inspired, like you, to rush out and sing. Maybe next week. Do you know, Beth — I wasn’t thinking of the connection between the two at all. 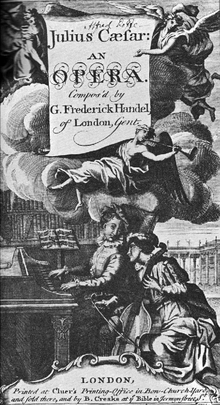 But once I’d written the post, I thought, Oh, maybe this is why the Handel duet resonates so clearly right now. This entry was posted on January 24, 2014 at 2:41 pm and is filed under Uncategorized.You can follow any responses to this entry through the RSS 2.0 feed.You can leave a response, or trackback from your own site.